Five Spot is an annual wildflower native to California. Like its name implies, the flowers of this plant are famous for their five spots, one on each petal, giving this low growing wildflower its unique look. This wildflower thrives in cooler weather, but can handle the heat if planted in shady areas. It prefers a well-drained soil and blooms abundantly starting in early spring. 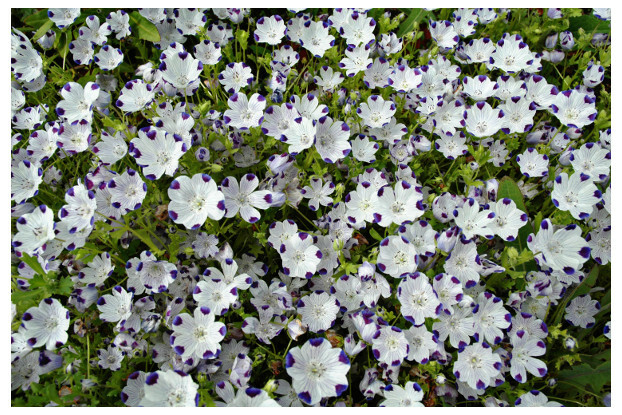 Five Spot makes a great ground cover when grown in masses.